The Colts are signing former Patriots linebacker Jabaal Sheard, sources tell Field Yates and Adam Schefter of ESPN.com (on Twitter). It’s a three-year, $25.5MM deal with $12.75MM guaranteed, according to Ian Rapoport of NFL.com (on Twitter). The Colts needed a front seven player like Sheard. Now, he’s projected to start at one bookend with Henry Anderson on the other side. Hassan Ridgeway, Arthur Jones, and Kristjan Sokoli are there in reserve, but one of those last two players could wind up displaced from the roster. The Colts finished with only 33 sacks last season, and the defensive line allowed 1,926 rushing yards (eighth-most in NFL). The Dolphins were also linked to Sheard, but they probably lost interest after acquiring William Hayes in a trade with the Rams on Thursday. We didn’t hear much about a Patriots reunion for him. Towards the end of the season, the feeling was that Sheard would not be back in New England. Despite getting benched midway through the season, the defensive end still had a productive year for the Patriots in 2016. The 27-year-old finished the campaign with 33 tackles and five sacks, adding on to the eight sacks he collected with New England in 2015. 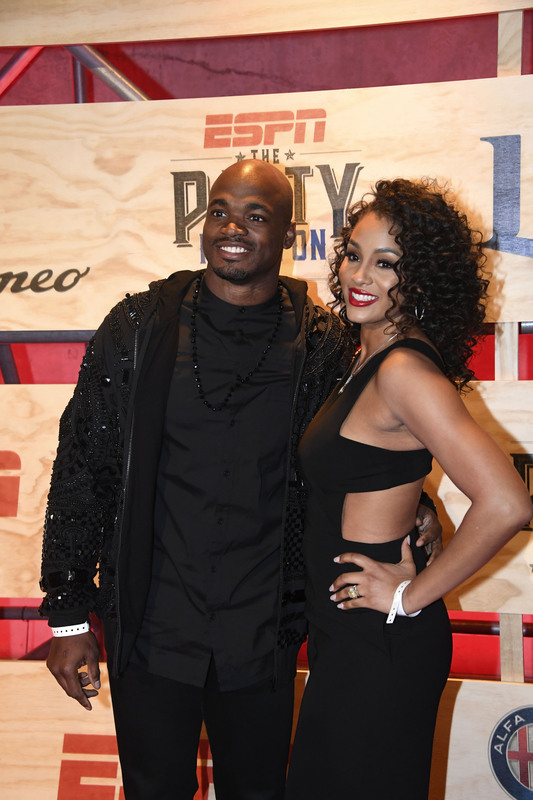 Adrian Peterson, RB (Vikings): Poor, poor AD. As we summed up on Friday morning, there are no clear suitors for No. 28 at this time. 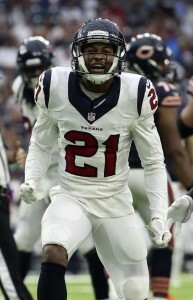 Despite previous reports to the contrary, the Texans, Patriots, Raiders, Giants, and Seahawks are showing little to no interest in signing the veteran running back. The incumbent Vikings haven’t put an offer on the table since declining his bloated $18MM option. Peterson is one of the best running backs in NFL history, but teams are skeptical of what he can do as he looks to rebound from another serious right knee injury on the verge of his 32nd birthday. 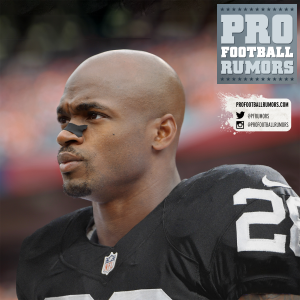 We know that there will be teams with interest in Peterson – perhaps even some of those aforementioned clubs – but Peterson is far from their Plan A and it doesn’t sound like any team wants to pay him like a top running back. Ultimately, Peterson seems likely to settle for a low-base, one-year deal with a good amount of performance incentives. His best payday, I think, would come from the Vikings. 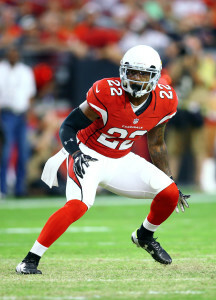 Peterson is a fan favorite and the organization would probably like to have him finish his career in purple. With all that said, Adrian’s dad publicly trashing the team probably isn’t helping matters. Eddie Lacy, RB (Packers): The Vikings, Seahawks, and incumbent Packers seem to be the frontrunners for Lacy at this time. 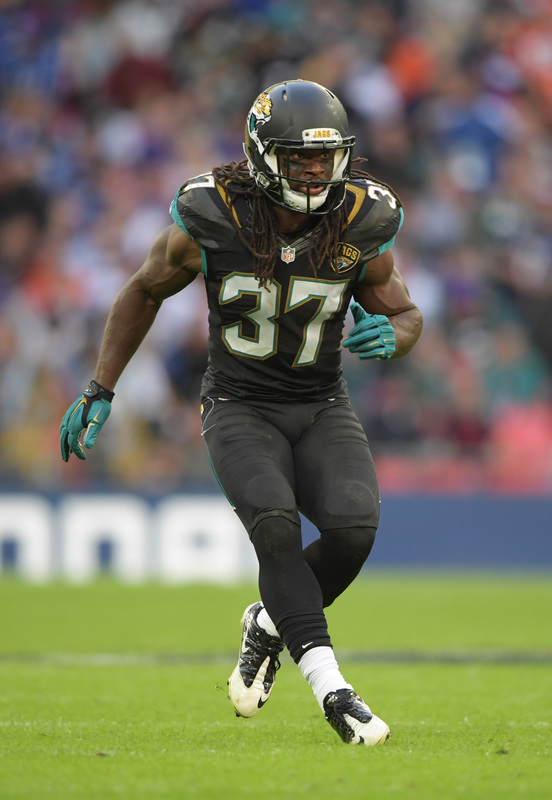 The Seahawks will meet with Lacy, but they also have meetings scheduled with Latavius Murray and Jamaal Charles. The Vikings, of course, are looking into Peterson replacements. Even though Lacy has had problems with consistency and conditioning over the years, he’s my top-ranked running back in this year’s FA crop. 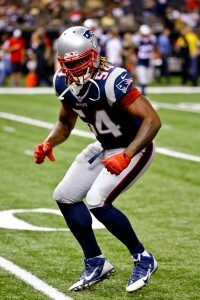 Dont’a Hightower, LB (Patriots): Hightower, surely, has interest from a number of clubs. But, for whatever reason, leaks have been kept to a minimum. For all the speculation about the Dolphins and other clubs swarming the non-rush linebacker, we’ve only heard talk of “positive” dialogue between Hightower and the Pats. 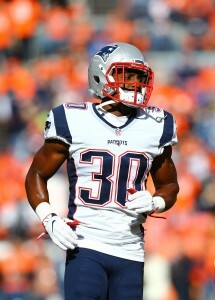 The Patriots are more unpredictable than ever, but I think the most likely outcome is that he re-signs. Bill Belichick was cocky enough to trade Jamie Collins and Chandler Jones in the same year – and it obviously worked out – but I don’t think he’s crazy enough to also let Hightower leave. 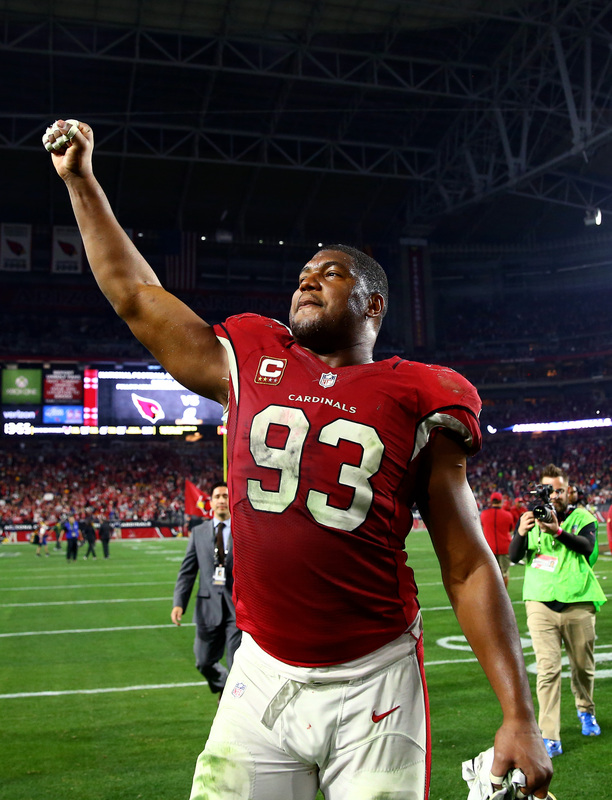 Dontari Poe, DT (Chiefs): The defensive tackle market is starting to take shape. Brandon Williams has re-upped with the Ravens on a lucrative five-year, $54MM deal that includes $27MM in guarantees. Chris Baker, considered a run below Williams and Poe, has a three-year, $15.75MM with $9MM guaranteed. We had Williams and Poe fairly close to each other on the Top 50 list and the early thinking was that they could fetch similar contracts. However, the latest word is that he may have to settle for a one-year, prove-it deal. 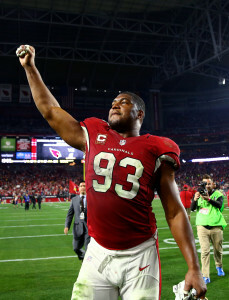 The Falcons, 49ers, and Redskins have been linked to Poe this week, but the Redskins might not be in the market for him anymore after adding Stacy McGee. Johnathan Hankins, DT (Giants): Hankins’ camp has been keeping things on the QT. There have been estimates that he could fetch around $7MM to $8MM per year (or more) on a multi-year deal. 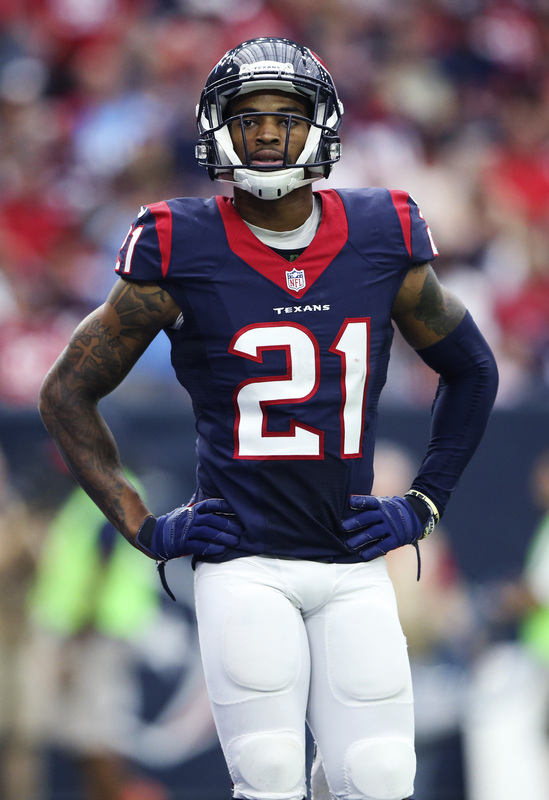 The Giants would love to keep the soon-to-be 25-year-old and we’re sure that other teams want him too, but there have been zero leaks from his negotiations. 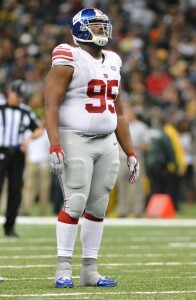 Hankins may not be as good as Williams right now, but the age factor could allow him to approach or top his contract. Teams also might feel better about committing years and dollars to Hankins over Poe. Of course, it’s not an apples-to-apples comparison since Hankins is a 4-3 DT and Williams and Poe are 3-4 nose tackles. They are different players and they have different groups of suitors due to their scheme fits. T.J. Lang, G (Packers): Lang is a talented guard, but teams are concerned about his surgically-repaired hip. Right now, the Packers, Lions, and Seahawks are known to be in the mix for him, but he might not sign right away as teams go over his medical info. Teams might want to see him work out in full before committing to him. He’s ranked No. 14 overall on my Top 50 list and was second only to Kevin Zeitler on our list of free agent interior linemen. 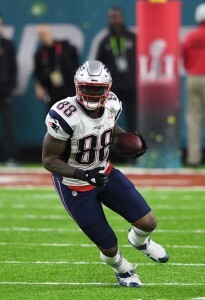 Martellus Bennett, TE (Patriots): There’s heavy mutual interest between the Raiders and Bennett and the Giants and Bills have also been linked to him. However, after the Giants spent a good chunk of coin to add Rhett Ellison, it’s not clear if Bennett is still a consideration. 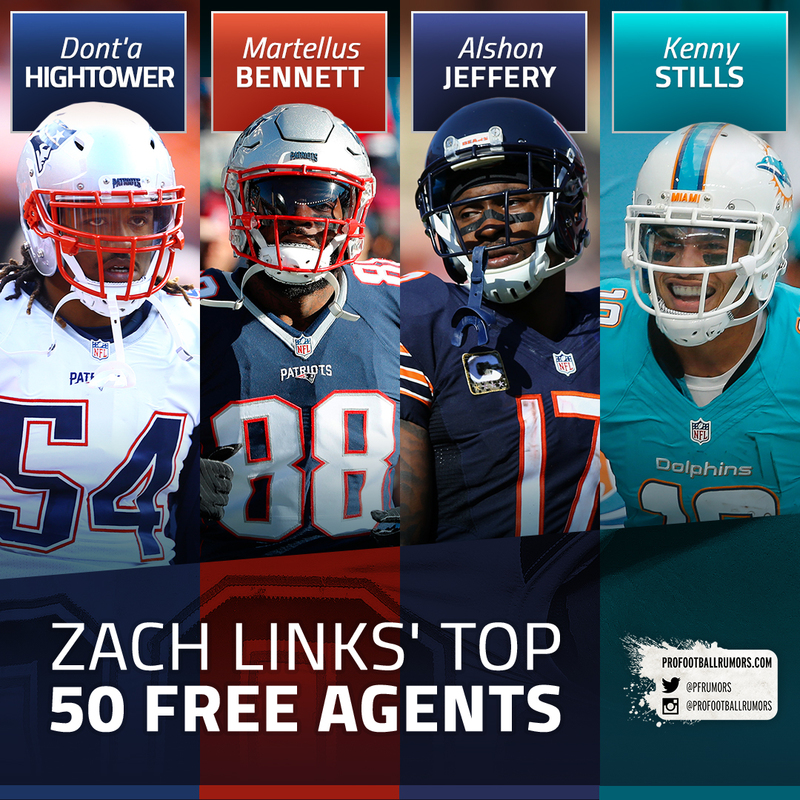 Bennett is far and away the best available tight end out there and he should fetch a nice payday for himself. It’s just not clear where that might be. 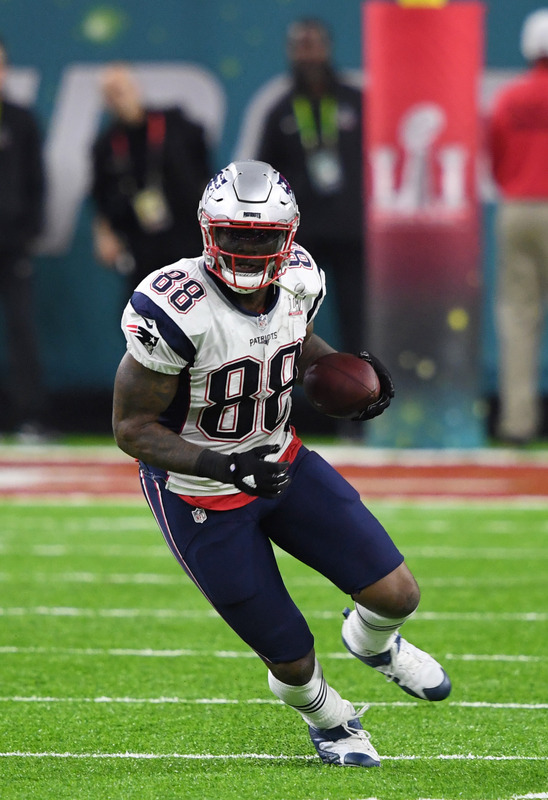 A Patriots return can be ruled out after the Dwayne Allen trade. 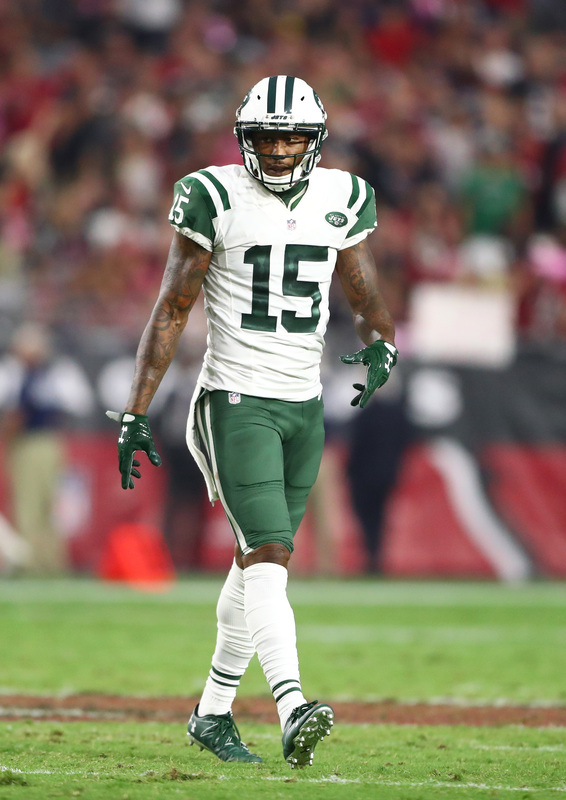 The Lions are also looking into tight ends, but we haven’t specifically heard about them reaching out to Bennett. 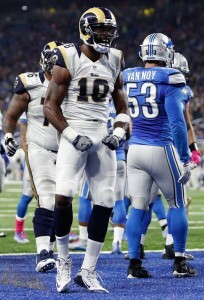 Jared Cook, TE (Packers): The second-best tight end on the board is drawing interest from the Lions and Bills. 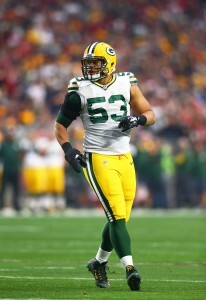 Contract talks with the Packers have reportedly broken off, so he could very well wind up leaving. 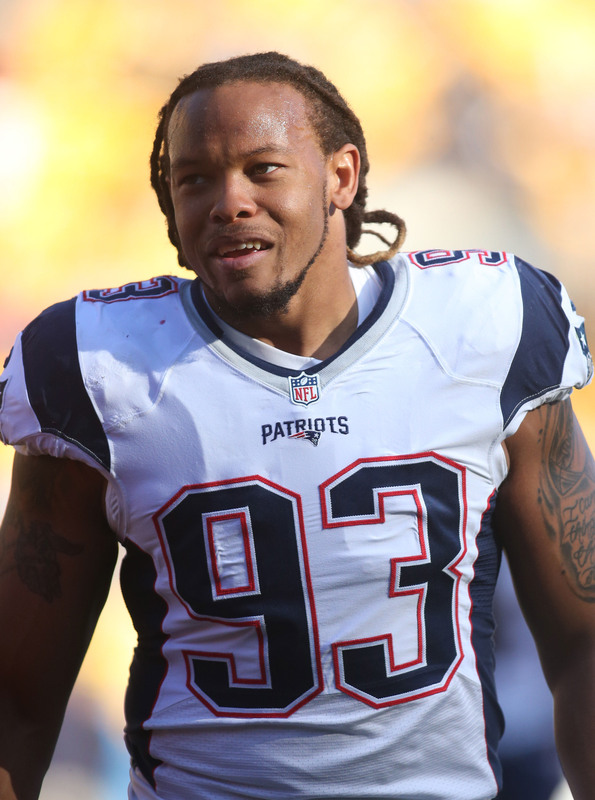 Jabaal Sheard, DE (Patriots): The Dolphins were linked to Sheard, but I’m guessing they’re no longer interested after acquiring William Hayes in a brilliant trade with the Rams on Thursday. He’s on his way to meet with the Colts and we haven’t heard a peep about any possible Pats reunion. Towards the end of the season, the feeling was that Sheard would not be back in New England. Jabaal Sheard is scheduled to visit the Colts, Mike Reiss of ESPN.com tweets. It was reported earlier this week that the team could pursue the pass rusher. After the late Thursday/early Friday trade between the Rams and Dolphins, the Colts could be the de facto leading suitor for Sheard. The Dolphins acquired a quality defensive end in William Hayes and that could take them out of the Sheard chase. Miami met with Sheard on Thursday afternoon, but Sheard would be redundant for him as they have Cameron Wake, Andre Branch, and Hayes on the DE depth chart. Hayes was accustomed to starting in L.A., so it’s hard to see Miami trying to sell him on even less playing time by bringing in Sheard. Meanwhile, the Colts could certainly use some assistance at defensive end. 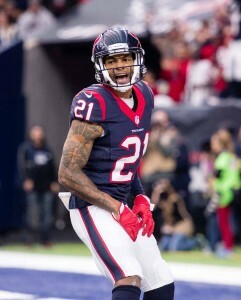 Sheard could bump either Hassan Ridgeway or Henry Anderson from the starting lineup, and the move could also result in one of Arthur Jones or Kristjan Sokoli not making the roster. The Colts finished with an underwhelming 33 sacks last season, and the defensive line allowed 1,926 rushing yards (eighth-most in NFL). 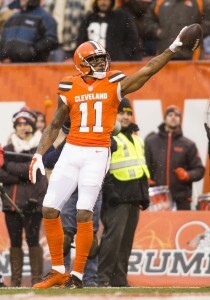 Sheard would certainly help with these deficiencies. Despite getting benched midway through the season, the defensive end still had a productive year for the Patriots in 2016. The 27-year-old finished the campaign with 33 tackles and five sacks, adding on to the eight sacks he collected with New England in 2015. The Dolphins will host Jabaal Sheard on a free agency visit, Ian Rapoport of NFL.com tweets. Sheard spent two seasons with the Patriots and saw his role fluctuate often. Sheard has drawn interest from the Colts as well during his second stint as a UFA, but the Dolphins will gauge his value on this upcoming visit. The former Browns edge player was slightly better for the 2015 Patriots than the defending Super Bowl champions. Last year’s Pats at one point made him a healthy scratch, and although he started in eight games compared to one in 2015, Sheard registered five sacks compared to his eight in ’15. Nevertheless, Pro Football Focus liked his work, ranking Sheard as its No. 36 edge defender last season after giving him high marks in 2015 as well. Miami re-signed Andre Branch this week and extended Cameron Wake earlier this offseason. Sheard is three years younger than Mario Williams, whom the team gambled on last year and eventually released after one season. With a boatload of cap space at their disposal, the Colts are in position to act aggressively on the open market this year. Already linked to high-end free agents-to-be like A.J. Bouye, Dontari Poe, Nick Perry and Kevin Zeitler, the club also has genuine interest in pass rusher Jabaal Sheard, tweets Stephen Holder of the Indianapolis Star. Sheard, whom PFR’s Dallas Robinson ranks as the second-best edge defender in the 2017 free agent class (behind Perry), has served as a more-than-capable rusher in both Cleveland and New England during his six-year career. All told, Sheard has piled up 36 sacks, including 13 over the past two seasons with the Patriots. Despite ranking 22nd in the NFL in quarterback hurries in 2016, Sheard endured a somewhat rocky year with the Super Bowl champions. In the midst of following an eight-sack, four-forced fumble 2015 with a five-sack, zero-forced fumble campaign, Sheard was a healthy scratch for the Patriots’ Week 11 win over San Francisco. Head coach Bill Belichick sat Sheard for performance-related reasons, though he did end up partaking in the rest of the Pats’ regular-season games and their playoff run. Sheard is now on the verge of hitting free agency for the second time since 2015, when he landed a two-year, $11MM deal. In Indianapolis, he’d figure to bolster a pass rush that tied for 19th in the league in sacks and finished dead last in hurries in 2016.